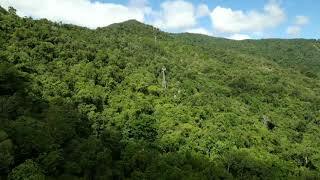 Skyrail is a unique, world-class experience that provides a truly unique perspective of Australia’s World Heritage listed tropical rainforest. Embark on a fascinating journey of discovery over and through the ancient rainforest spanning 7.5 kilometres in the Barron Gorge National Park. 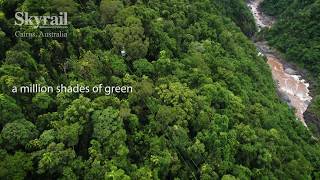 Glide metres above the canopy with spectacular views of the rainforest, Coral Sea and lush Cairns Highlands. 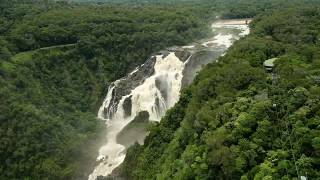 Red Peak and Barron Falls also allow guests to descend through the canopy and explore the forest floor below. Discover more at Barron Falls via the CSIRO Rainforest Interpretation Centre, marvel at the rugged beauty of the Barron Gorge and majestic Barron Falls from The Edge Lookout and learn about the area’s pioneering past at the engaging historical display. Enhance your experience by downloading Skyrail’s multi-lingual Interpretive App and Audio Guide, that places the story of the rainforest directly in your hands. 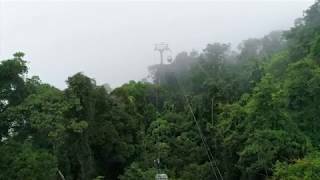 Accessible to people of all ages and abilities, Skyrail is the must do rainforest experience in Tropical North Queensland. Located 15 minutes from Cairns city and 50 minutes from Port Douglas. 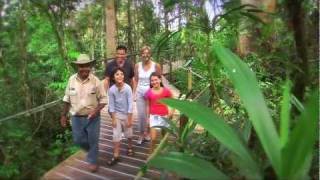 Embark on a fascinating journey of discovery over and deep into Queensland's World Heritage Listed Rainforest. Enhance your rainforest experience by downloading the Skyrail Interpretive App and Audio Guide, placing the story of the rainforest directly in your hands. Explore the Rainforest Discovery Zone at Red Peak and discover the amazing sweeping panoramic views from The Edge Lookout at Barron Falls. Learn about plants and animals that existed long before dinosaurs roamed the earth, whose descendants can still be seen in the rainforest today. Home to some of the world’s first kangaroos, flowering plants and ancient song birds, this fascinating living museum is like a window back in time. Immerse yourself in the sights, sounds, smells and tranquillity of one of the world’s most botanically fascinating areas whose heritage has remained relatively unchanged for millions of years. 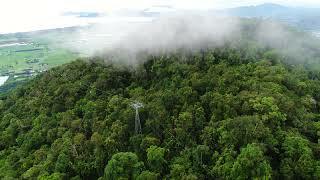 Exploring the ancient rainforest between Smithfield and Kuranda, a one-way Skyrail experience takes approximately 90 minutes. For a return (round-trip) experience, allow 2.5 hours. Skyrail’s Smithfield Terminal is located approximately 15 minutes drive from Cairns city and 50 minutes from Port Douglas. Both locations are conveniently serviced by regular coach transfers. Self-drive guests can access free parking available for cars and recreational vehicles.